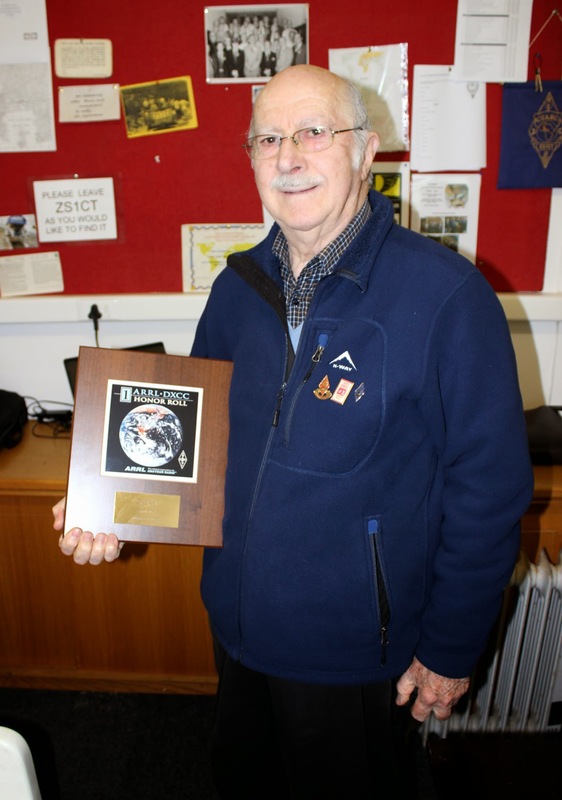 At our recent AGM on Saturday, 26 July 2014, Dennis / ZS1AU was presented with the ARRL’s Number One DX Century Club Honour Roll plaque by Paul / ZS1S. As you can see, the award was taken fresh from the packing case for Dennis to receive in person! 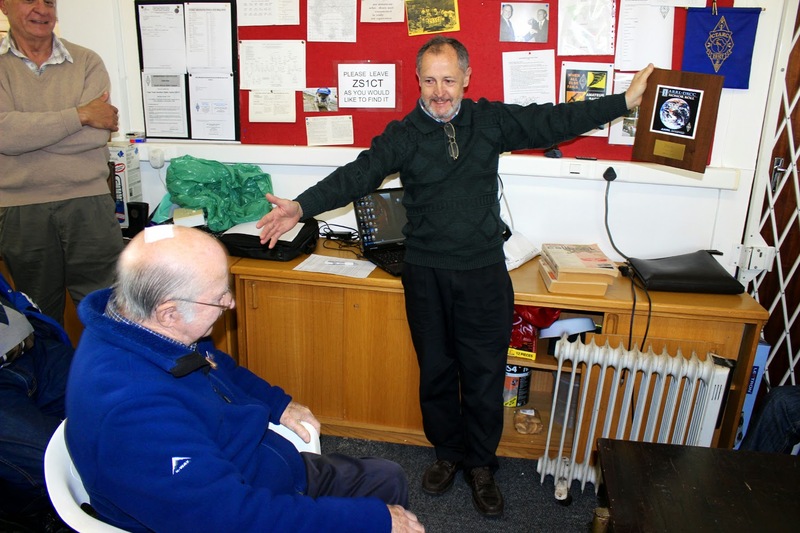 This prestigious award - the highest obtainable in Amateur Radio and of particular interest to the serious Amateur Radio DXer – doesn’t happen every day. They all know and dream about the Number One ARRL DXCC Honour Roll Plaque, but it is possible to achieve! It places one at Number One in the world of DX. 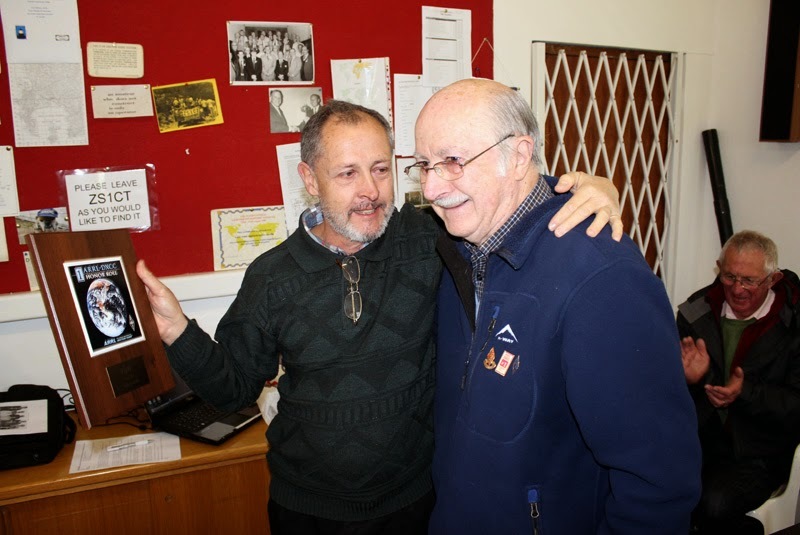 I thank Paul Johnson / ZS1S, a keen DXer who was on the DXCC list in 1983, for presenting me with the Number One DXCC Plaque at the Cape Town Amateur Radio Centre AGM on Saturday 26 July 2014. It is called the ARRL DXCC Number One Honour Roll Plaque and is the most sought-after DX Award in the world of Amateur Radio DXing, because it is the most difficult and is not an overnight achievement. It can take anything from 20 years to a lifetime. In 2011 when Tjerk Lammers / ZS6P (the SARL Awards and ARRL Field Checker) submitted my score of 334 DX entities, it already qualified for the DXCC Honour Roll (331 was the qualifying minimum total) but was still seven short of the Number One Full House which at that time stood at 341 entities. I still needed to work stations on Sable Island, Sudan, Somalia, Malpelo, Yemen, Myanmar and Mellish Reef. At this stage and with a total score of 331 (according to a very accurate “ZS6EZ Chart”) I was only half way to the top! (see ATTACHED CHART). In 2012, M-V Island was deleted as a DX Entity and this reduced the total entities required for the Full House award down to 340. During the following year I managed to get five entities that were still needed, leaving me with just two to go, namely Myanmar (XZ) and Mellish Reef (VK9MT). In 2013, XZ1Z in Myanmar came up and I managed to work that station, leaving just one more to go, the very elusive Mellish Reef! In 2014, the VK9MT Mellish Reef DXpedition took place and I managed to contact them on both 12 m and 20m Phone, to complete a Full House with a total of 340/340 on the Honour Roll as Number One Phone and Mixed. They were all confirmed on Logbook Of The World within days and within a few weeks, the QSL cards had arrived. Having 19 deleted entities which no longer count towards the Honour Roll, they can be added for totals - on Phone as 358 and on Mixed as 359 entities. All contacts have been confirmed with QSL cards. The Number One Plaque is recognised as the pinnacle of DXing and I have attached an extract from the ARRL website where all the necessary information is available. (To download a PDF file of the rules for this award, click [here]). It might appear to be overpowering to see all the rules and criteria etc., but there several of our own ZS DXers who can assist those who are interested in DXing and making it into the Free Membership of the ARRL DX CENTURY CLUB. Membership of the DXCC is recognised by radio amateurs worldwide as the measure of prowess of DXing in the world. It has been in existence since it was devised in 1935 and after WW2 it was reinstated from 1947 and has run continuously since. DXing has been one of the main facets of our hobby, after homebrew in those early days, and is still practised by very many radio amateurs around the world, today. The CQ World Wide Contests every year around the end of October still prove the popularity of DXing, during which many DXCC entities can be accumulated towards DXCC membership, which calls for at least 100 entities and maximum of 340 as of 2014. Over time some DX entities are deleted and others added, as political changes take place in various countries. While many of our ZS radio amateurs do not appear to submit their claims for DXCC membership (and for a time I was one of them), the challenges and great excitement to be had in chasing DX entities and DXpeditions, still produces an immense sense of achievement. The DXpeditions are very well-organised these days and their operations from very difficult and rare places are particularly exciting. It is our duty to also make donations to support DXpeditions who also appreciate donations for them to continue to make rare DX entities available to radio amateurs worldwide. Those of us who sit at home in our shacks and get such fun and enjoyment out of chasing the DX, are to be encouraged. The DXpeditioners do it for the great kick they get out of hearing a king-sized pile-up chasing them and also to assist those DXers who still need those entities towards their DXCC totals. In all my days I enjoyed contacting new DXCC entities in between having regular skeds with those who became life-long friends, many over the air and some who subsequently exchanged visits with me. 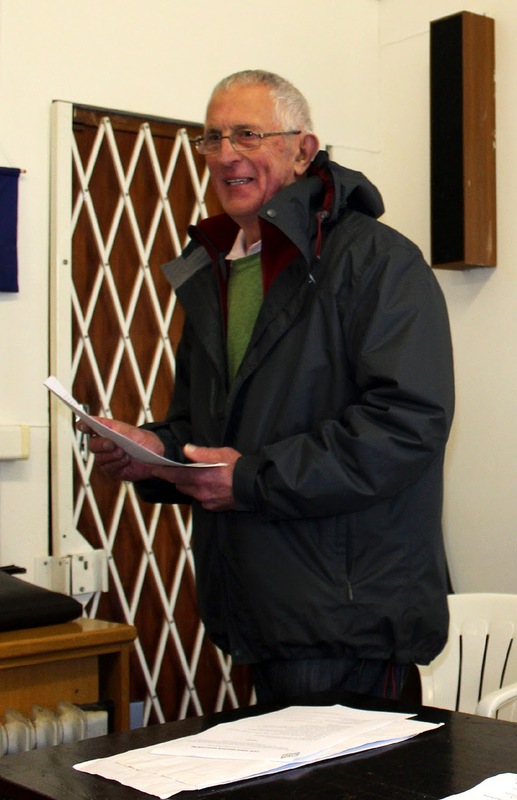 I speak from experience when I say that the majority of our ZS radio amateurs are, like Rip Van Winkel, fast asleep, and do not take DXing seriously enough, in spite of their doing well at it. I was at it for 60 years, but not serious enough to chase awards or certificates and it was a wake-up call from ZS6P OM Tjerk Lammers, our Awards Manager and ARRL field checker, who had just become the very first ZS to have ALL the DXCC entities CONFIRMED, on PHONE in 2009 and was awarded the ARRL DXCC Number One Honor Roll, FULL HOUSE !!! Then followed ZS6EZ and ZS4TX on DXCCNumber One PHONE , who are NOW both on the threshold, needing just North Korea for a DXCC Number One Honor Roll, CW FULL HOUSE. It was their inspiration and encouragement that fired me up to add to the DXCC membership by supporting and giving my dedication to the ARRL, by becoming a Member of that organisation. I feel proud to be part of the half-million strong membership of the ARRL, now celebrating their hundred years in existence in this year of 2014. When I submitted my QSL cards for the first time in 60 years to Tjerk Lammers, when he checked my cards to see if I had the necessary minimum of 100 cards to qualify for membership of the DXCC, he found that I had in excess of 300!! Looking through my boxes and boxes of QSL cards, some of which I had not seen again, in all those years, I scratched together enough to make it to 334 out of 341, in the year 2011. 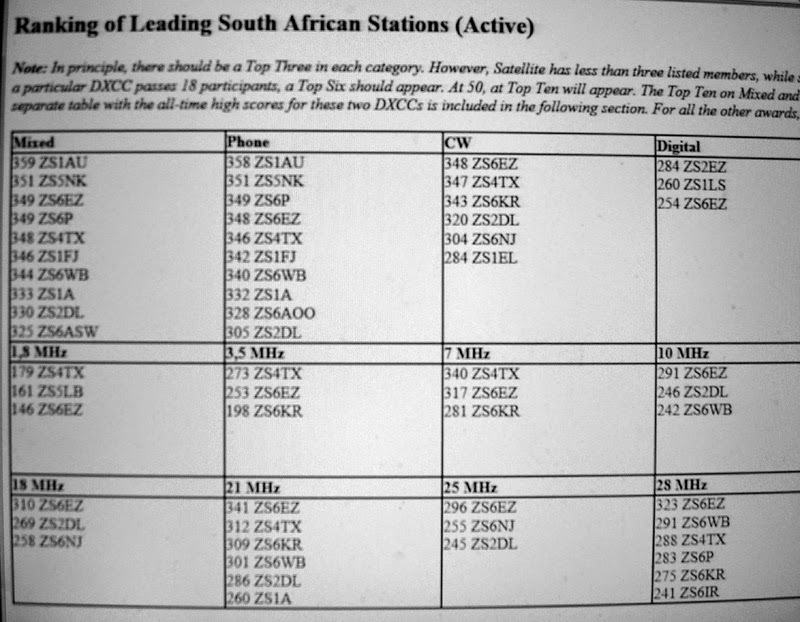 It was the greatest thrill to find that I was on the DXCC Honour Roll and with the addition of 19 deleted entities (which no longer count towards the Honour Roll) surprisingly placed me at the top of the DXCC LISTS in South Africa. At my age of 85+ and realizing that I was only half-way to the top of the DXCC Honour Roll and not seeing it possible to reach the next step, a DXCC Number One Honour Roll Full House, I was more than happy to settle for the small Honour Roll Plaque. The thought of reaching a full house never entered my mind as I could not see it happening in my life-time!! I would have to be the oldest living radio amateur to reach that and that would take a miracle. I was so wrong! In spite of surviving major surgery for the Big C in 1993 and a receiving a stent in my heart in September 2013, which were stumbling blocks, I began to see a small light at the end of the tunnel! Before long, the rare DX entities, mostly DXpeditions that I needed, started appearing as coming up in the year ahead. It sounded too good to be true but it was still a long way to go and so many things could still happen to spoil my chances of reaching this seemingly “impossible” Full House ??!! On the first Sunday morning that Mellish Reef came up they were heard on 12 m and I got a landline call from Tjerk ZS6P to alert me and here I was without a dedicated antenna for 12 m, so I loaded the 204BA and got into the log! Tjerk once again pulled a rabbit out of my hat and I made it to a FULL HOUSE worked. Whoooopeeeee! The thought of missing any (even just one) of those entities would result in it not being a Full House, as it requires everyone in the log and eventually having them ALL confirmed. Prior to this DXpedition I realised that there was no room for anything to go wrong… and there were times when it almost did! A heart attack requiring eight days in ICU, then a violent North-Westerly storm with the beam swinging around… And then, while I was waiting for an attempt to contact Mellish Reef - my last one to go, a huge tropical rain storm hit the island and it was now touch and go that I would make it as they were leaving prematurely as it was so unpleasant and dangerous for VK9MT to continue. With hours to go before the last transceiver and 20m antenna were dismantled and they were due to pack up, I got their last call on 20m over the USA Long Path with a 5 x 9 signal report, which was the cherry on the top! I now know how Atlas felt when the world was lifted off his shoulders! I have now have the Number One DXCC Honour Roll Plaque as the ultimate in my DXing after playing with radio for 64 years. You have no idea what it feels like to experience this, My miracle! OM’s Leon / ZS1EE (now retired from Amateur Radio), Arthur / ZS1LI (now Silent Key), Ben / ZS1AAQ (Silent Key), Eldred / ZS1DJ, Duppie / ZS1DUP, Tony / ZR1TT and Louis / ZS1LVH. Thanks also to all the DXers and DXpeditioners out there, not forgetting those who are no longer with us… all over the world. Without them it would never have happened. My Father, Len Wells (sk 1950) Pioneer along with Mr John Streeter, A1A; Joan, my XYL for her life-long support of 64 years, Graeme, our Son (sk 2008) and Jeanette our daughter for love and tolerance, Cassie Carsons, a colleague who made/welded my tower (Sk 2012). 73 / 88 and a big thank you to all for sharing in this momentous occasion. 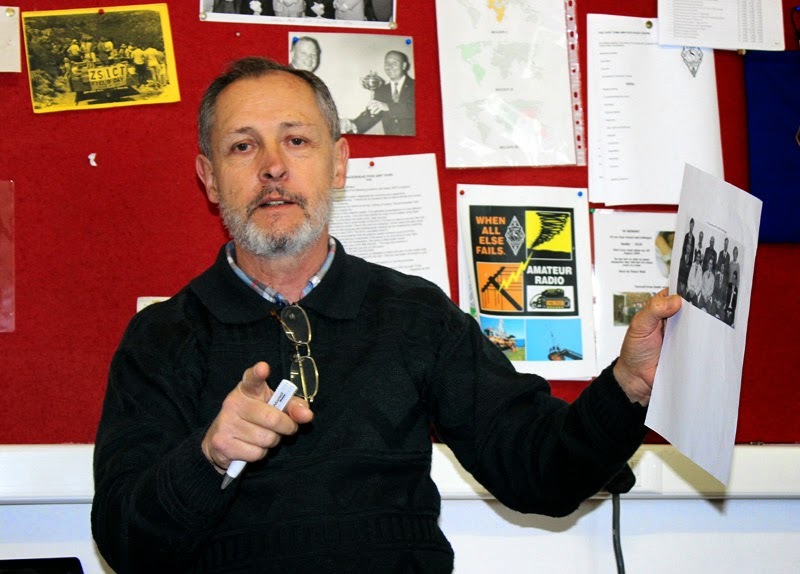 This award has also been reported in the Tygerburger newspaper [here] and [here]. Just a reminder of the forthcoming meeting for committee members of the CTARC. This will take place on Monday 11 August at 19h00 at the clubhouse in Rondebosch. 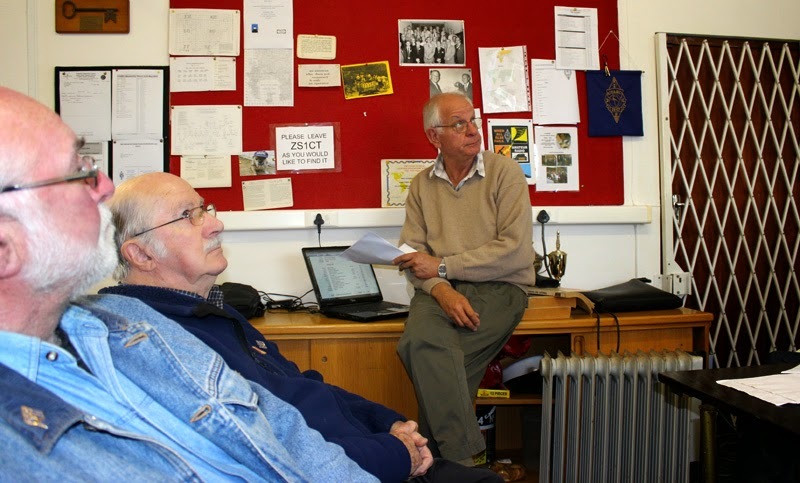 On Saturday, 26 July 2014 at 14h00, the Cape Town Amateur Radio Centre held its Annual General Meeting for 2014. Despite the rather wintery weather, the meeting was gratifying well attended. Noel / ZS1FW was first to address the meeting. He gave us a review of the past year’s activities and events, the prospects for the future of our Club and for the hobby as a whole. While the advances in communications technology now available to all have removed radio hams’ exclusivity in “being able to talk to the world”, there are still many fascinating and attractive aspects to our hobby. We then held a poignant moment of silence in memory of those hams whose keys went silent in in the past year. 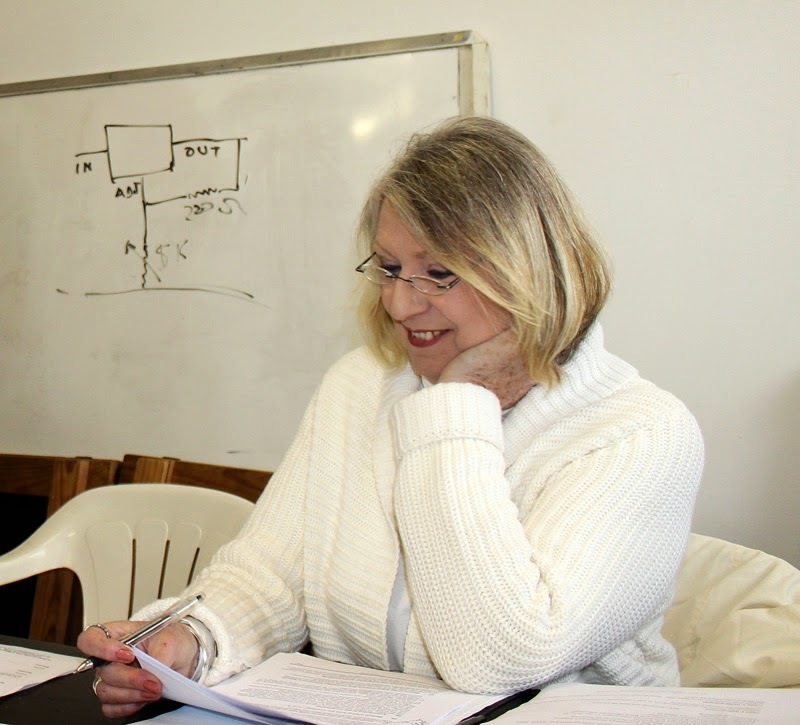 Our tireless Secretary and publisher of our Ragchew newsletter, Anne, then read us the minutes. which were duly accepted. during his financial report. Despite his concerned expression, our club is financially solvent! Danny / ZS1BL read us the financial statements for 2014 and it was good to see that our club is in a reasonably healthy financial condition (in spite of the less-than-desirable economic climes). It was also gratifying to note that the CTARC maintains a strength of around 70 members, but we must continue to encourage new members to join up. Grateful acknowledgement was made in absentia to Peter / ZS1PMH, former treasurer to the CTARC, who set up the financial templates in so competent a manner. 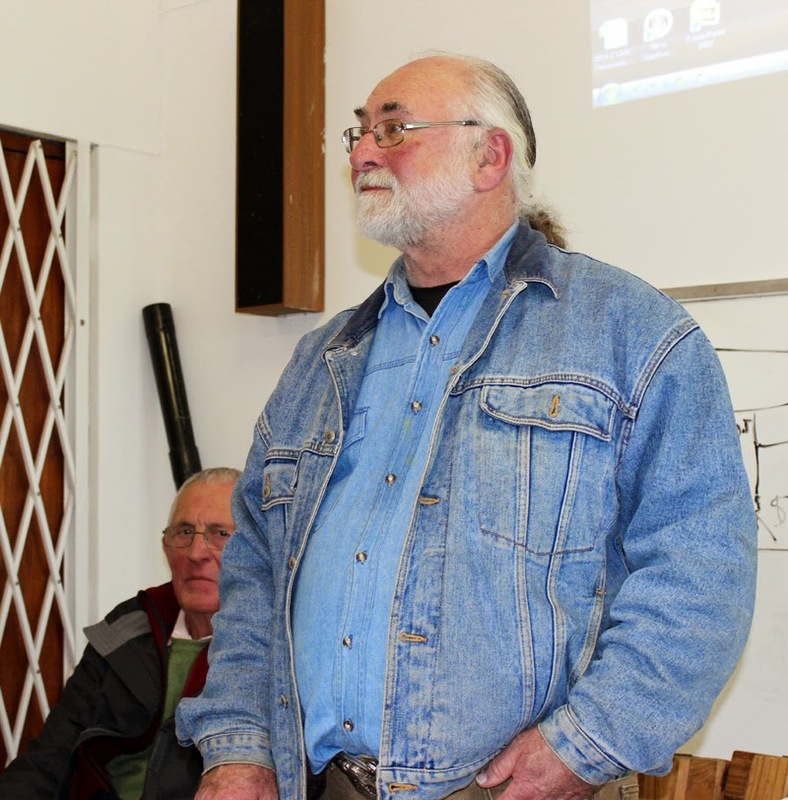 Paul / ZS1GE was awarded Life Membership of the CTARC, in recognition of his many years of work for the CTARC. 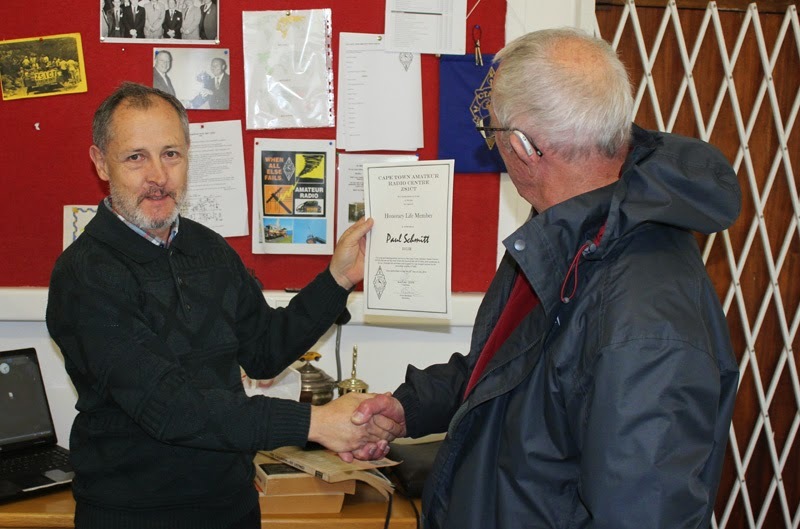 The award was accepted in absentia by Paul / ZS1S. 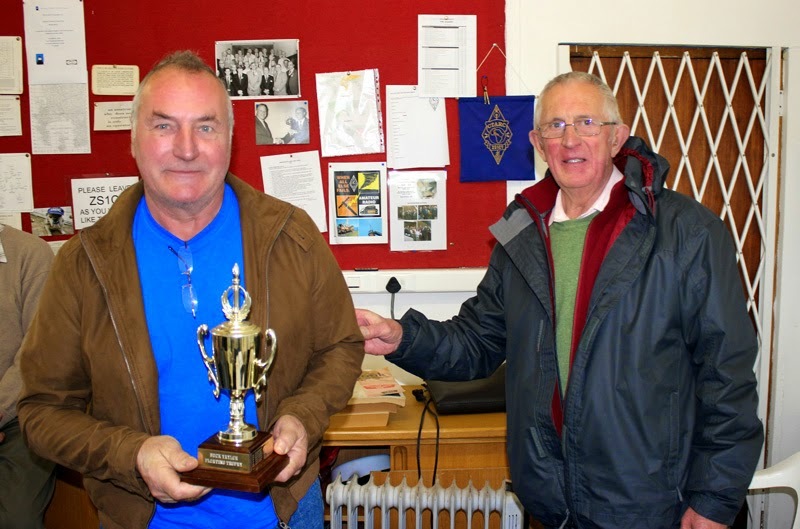 Tom / ZS1TA received the Sports Trophy for his involvement in motor rally communications. 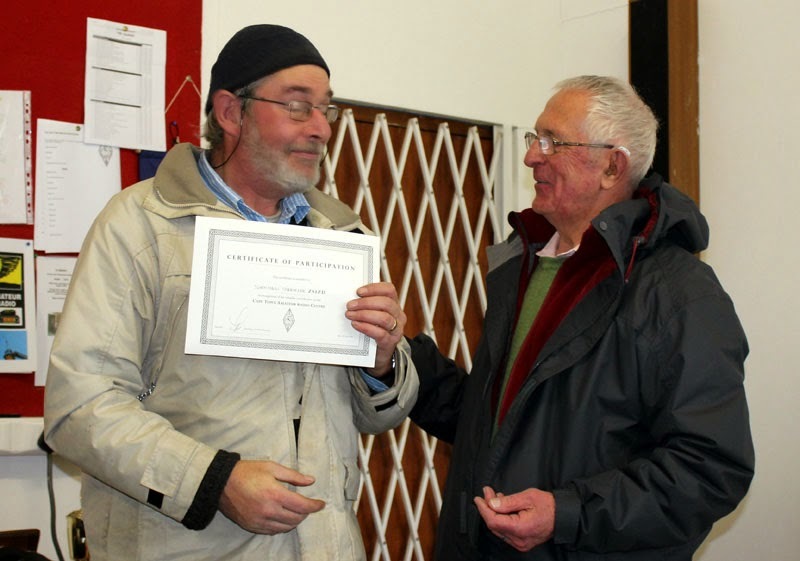 Nick / ZS1ZD received a certificate for involvement in club activities. 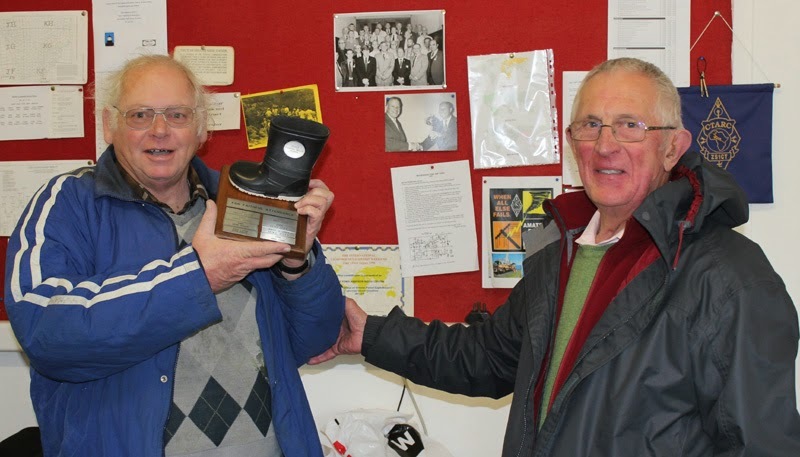 Mike / ZS1FP received the Golden Wellie Award for regular attendance of CTARC meetings throughout the year. This is not the first time Mike has received this award, and the Committee is currently considering ways of permanently adhering it to the person of Mike with epoxy or superglue! 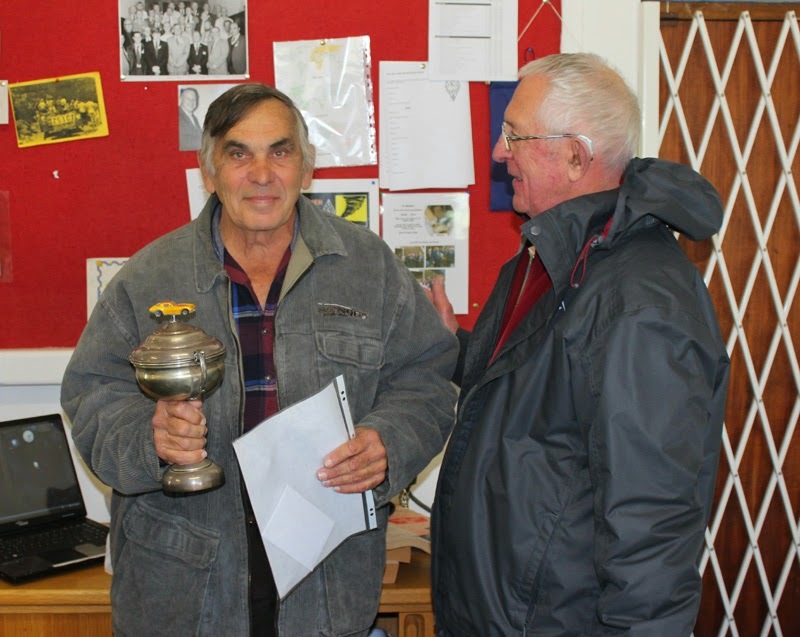 Fred / ZS1FK received the Buck Taylor Award for his sterling efforts – he came all the way down from St Helena Bay on his 35-year-old 200cc Honda motorbike, day after day, to fix the CTARC clubhouse ceiling and give it a fresh coat of paint. Quite a bit of effort was expended by Fred and our clubhouse now shines because of his involvement. There will still be some adjustments to the above list and responsibilities w.r.t. Clubhouse Maintenance, Management of Field Days and other matters, but we will keep you posted. once-in-a-lifetime achievent for those few radio amateurs skilled and dedicated enough to earn it. Dennis definitely fits the profile! We will post a special article on Dennis’s award presently. 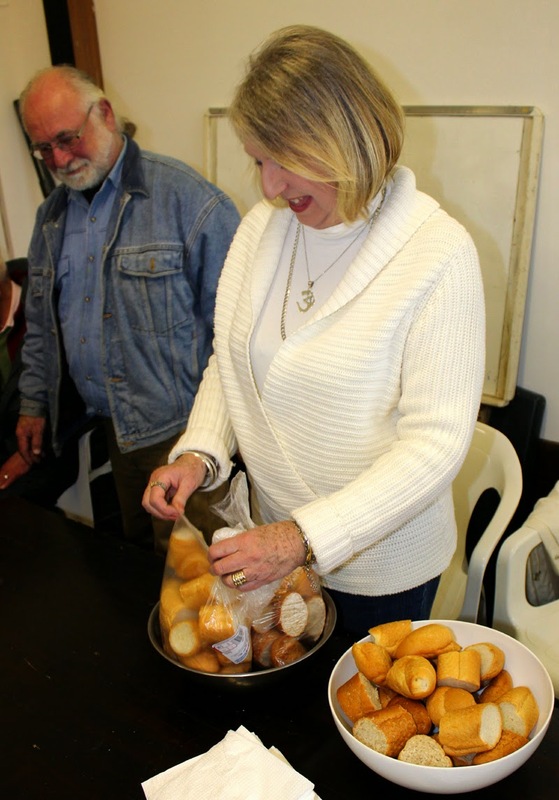 The meeting ended off with a feast of scrumptious chicken & veg soup and rolls, kindly provided by Anne & Rob. Members had the opportunity to chat with each other for the rest of the afternoon. So ended another successful AGM. 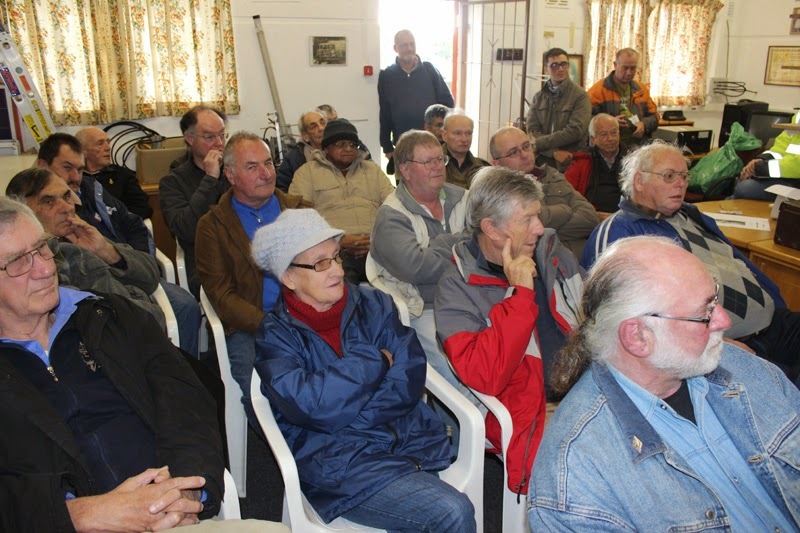 We look forward to our next CTARC event, which will be participation in the International Lighthouse / Lightship weekend on 16 / 17 August, where a field station will be set up at the Mouille Point Lighthouse. On the AWA website you can find all sorts of useful information about the radio equipment of yesteryear, including reviews of rigs, details of the regular AWA radio skeds and even a Swops section. We encourage you all to take a peek. The link is also available on our Links Page. 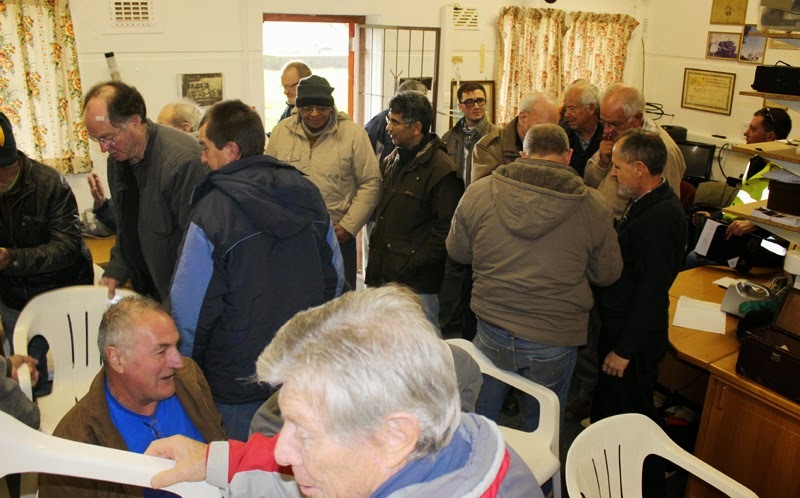 As announced, the Cape Town Amateur Radio Centre will hold its Annual General Meeting for 2014 on Saturday 26 July at 14h00. 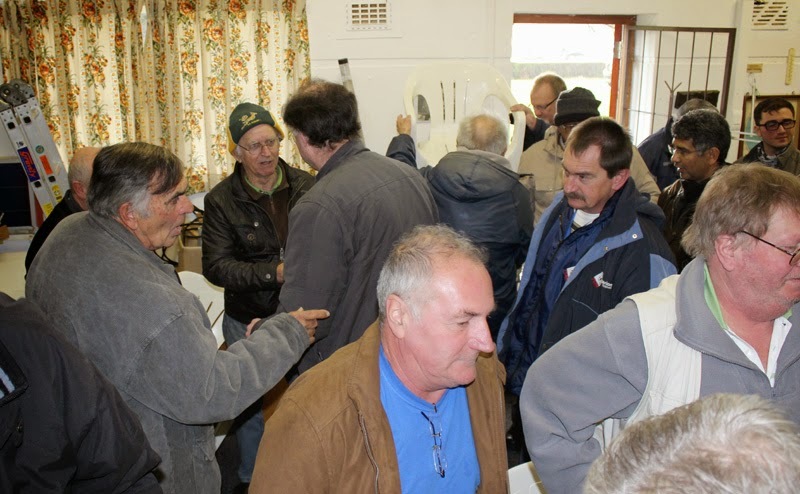 Committee members of the Cape Town Amateur Radio Centre are reminded that there will be a committee meeting on the Monday preceeding Saturday's AGM on 26 July. The committe meeting takes place on Monday 21 July at 19h00. Just a reminder that Anne, who kindly assembles our bi-monthly Ragchew newsletter, requires material to be sent to her by the 10th day of the month that the newsletter is published. News, photos and technical articles, as well as other relevant content, are always most welcome. Adverts to go on the Swop Shop pages are also gratefully received. 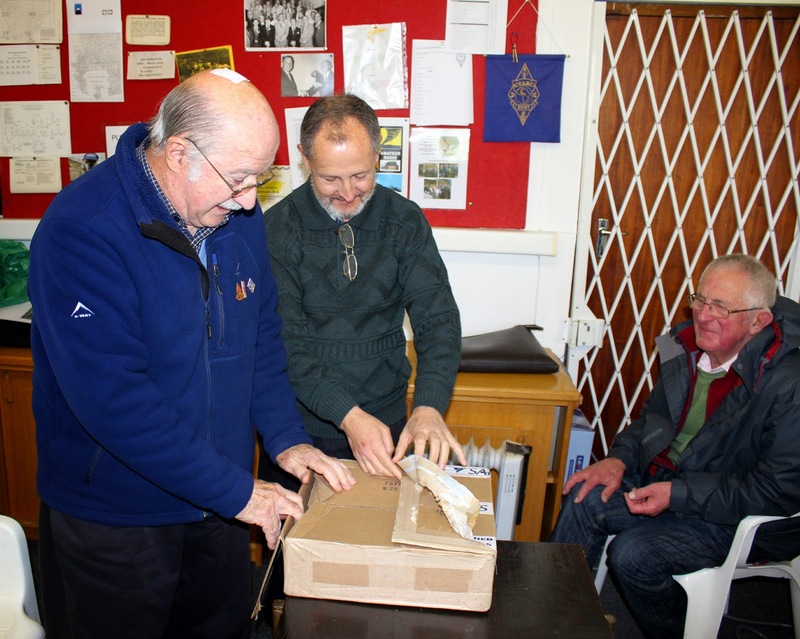 The advantage of selling your amateur radio gear in Ragchew is that you can include photograph/s and provide lots more detail than would be practical to broadcast on the Swop Shop slot in the weekly CTARC Bulletin on Sundays. Ragchew is also downloaded by hams all over the country. Furthermore, prices can be mentioned, which is not the case on-air! The contact details for CTARC are [here].